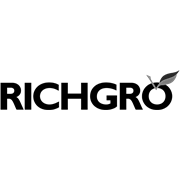 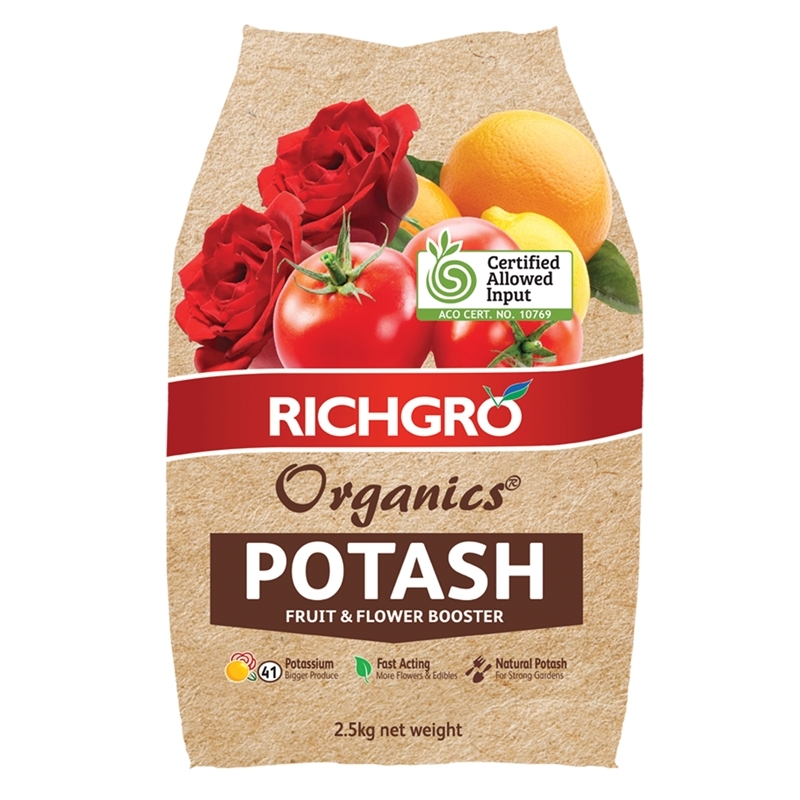 Richgro Organics Potash Fruit And Flower Booster is a fertiliser high in Potassium that will quickly boost the growth of quality fruit and colourful flowers. 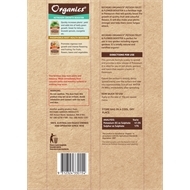 It will also make your plants stronger and help them resist fungus attack. 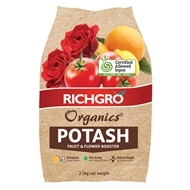 It is perfect for use in any garden including organic gardens. 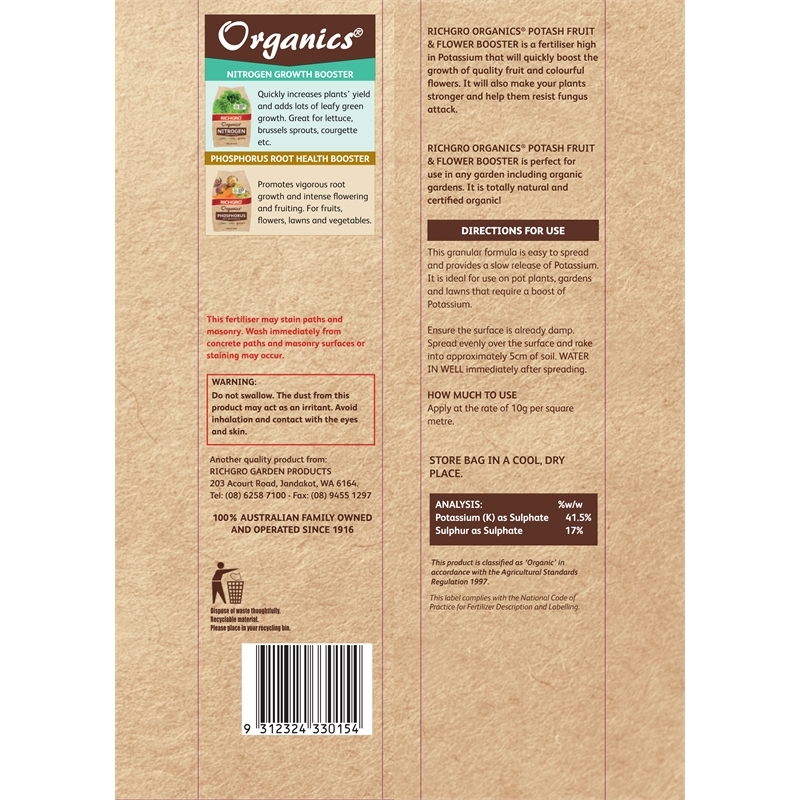 It is totally natural and certified organic!